I love spicy foods. I mean who couldn't use a little spice in their life? 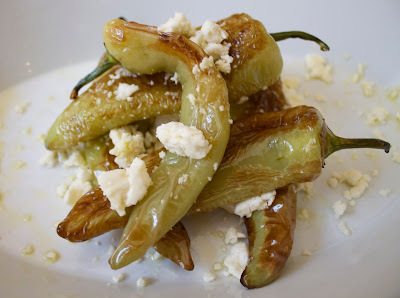 I am a big fan of blistered shishito and padron peppers, so when I saw these beautiful hungarian yellow wax peppers at the farmers market I knew exactly how I wanted to prepare them. This little dish was prepared very simply. 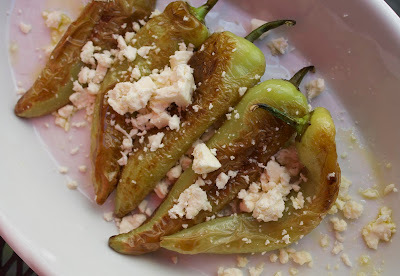 I blistered the peppers and then topped them with some feta cheese. The feta cheese added an entirely different dimension to this dish. I really enjoyed the cheese's salty richness that cut through the heat from the pepper. Hungarian wax peppers have a medium low heat. I have built up a good tolerance to heat; therefore, in my opinion these peppers weren't spicy but did bring a little pleasant heat. I understand that some people have different heat preferences so try experimenting with different peppers (hot or sweet). Grab a scoville scale! Heat a cast iron pan over high heat. Once the pan is heated, add enough olive oil to coat the pan. Using tongs, carefully add the peppers to the pan. Let them get charred/browned, blistered and softened on all sides . All together this will take about 4 minutes. This process will happen quickly so keep an eye on the peppers and turn them occasionally if needed. Using tongs, remove the peppers from the pan and place them on a dish. Season the peppers with salt. 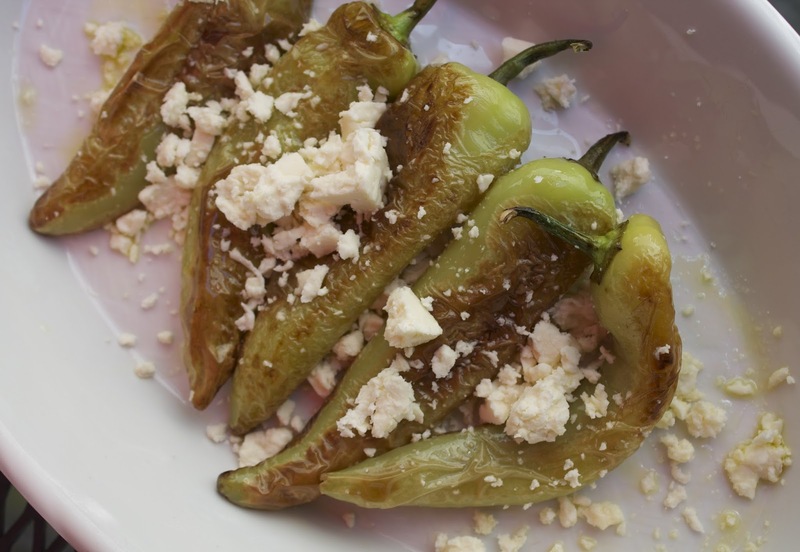 Drizzle the peppers with a little extra virgin olive oil and top with feta cheese and lemon zest.